It is such a small thing to do, and I have done it! I have changed out 4 incandescent light bulbs today and that is just the beginning. 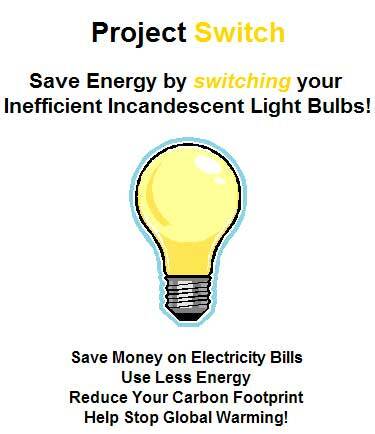 Make the pledge and save money, save energy, reduce carbon and yes it is true, changing your light bulbs will help stop global warming. Okay, but where can we safely put our compact flourescent lightbulbs (CFL’s) when they need replacement? They contain mercury which is hazardous and not “allowed” to be disposed of in the trash. It will have to be easy and convenient or all the CFL’s will create another environmental hazard. Your wisdom brings up a good point. So I have answered the questions.